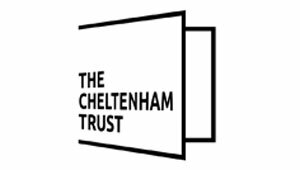 Although we have a great range of guided tours available in Cheltenham and the surrounding areas, many are fully booked months in advance. Members have asked us to look at what options are available for last-minute bookings from guests and visitors one they arrive in the town. We’re delighted to announce that Marketing Cheltenham Member CJP Tours, now has a solution. They are offering guided tours every Wednesday and Saturday, departing from outside The Queens Hotel at 9am, with an optional collection from Ellenborough Park Hotel between 9.15-9.30am. The tour includes a guided tour with cream tea and visits towns/villages such as: Winchcombe, Stanway, Stanton, Broadway, Snowshill, Chipping Campden, Blockley, Stow-on-the-Wold, Bourton-on-the-Water and the Slaughters. Drop off will be at 3pm outside The Queens Hotel and 3.30pm to Ellenborough Park Hotel. Bookings can be made with Ruth on 01386 833 365 and can be booked up to 24 hours prior to the departure time. Hotels and local tourism businesses can book tours on behalf of clients and visitors and pay via invoice if required.